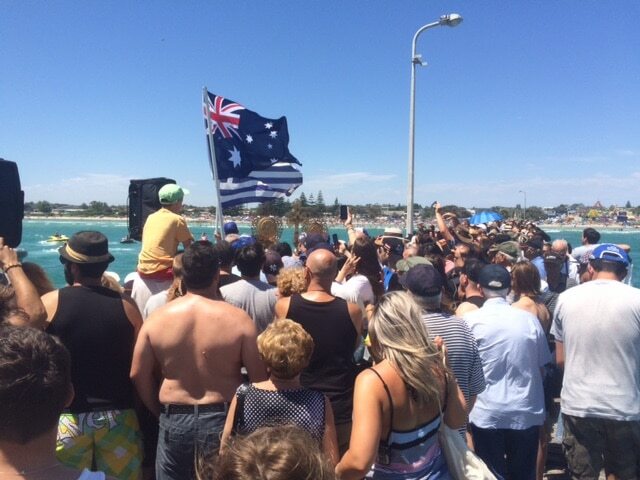 With the mercury predicted to get to 41 degrees, we were well prepared for the heat, what we weren’t prepared for were the hundreds of people on the pier attending the Greek festival of the Blessing of the Waters. Northerly winds made for slight surface chop but under the water was fine. We completed our three course dives and although getting off the pier with crowd was a challenge, to exit the water we waded into shore, climbing the ladders and walking down the pier as we would normally do was out of the question. we still managed to debrief and also enjoy a delicious lunch at the Rye Hotel.